Hello’ guy’s today we come up with the latest and essential application for windows which is know as Nokia Ovi Suite here our Website. It is free to download from at the end of the page for its official blue download button. If you are the user’s of Nokia Smartphone’s and you want to connect your Nokia device with your computer Microsoft windows then the Ovi suite of this devices is best for it. Before connecting the device with computer windows you should first install the Nokia Ovi Suite fully on your Microsoft windows. After installation the application completely on windows then you can easily connect your deice with your computer operating system. The latest application is free to download from at the end of this article for its official download link. Just click the blue download button given below of the article and easily download the needed things only a few munits. The Nokia Suite is one the amazing application for Nokia user’s to connect their devices with Microsoft windows. The service was originally developed by nokia but was subsequently taken over by Microsoft mobile. It can synchronize contacts, calendar, messages, photos , videos and music between Nokia device and computer. Additionally the nokia suite can be downloaded country maps to nokia devices, backup or restore the contents of devices, connect the computer to the internet via mobile device and update the device software. It can’t be used with lumia or Nokia Asha phones. It is replacement for Nokia PC Suite and it was integrated with the Ovi brand of service. 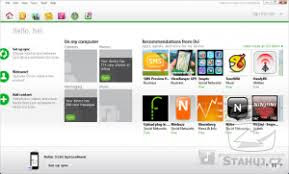 It was originally called Nokia Ovi Suite but the name can be changed to Nokia suite with the released of latest version 3.2.64 Beta in October 2011.